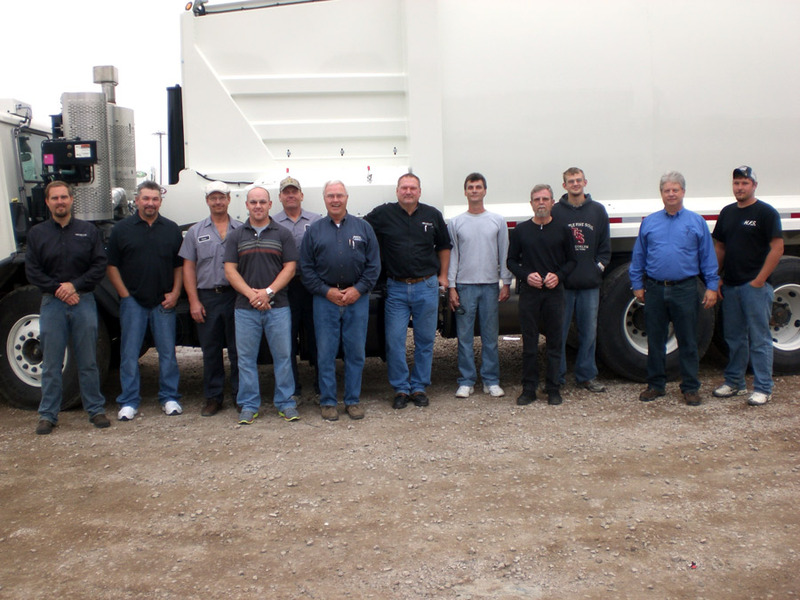 Scranton, IA - From October 23rd-25th, New Way® held its second Sidewinder automated side loader training class. Everyone felt it was a great session. Chris Milligan, New Way® engineering manager, Dan Jenkins Waste Removal, Steve Rock Amick Equipment, Mark Fields Waste Removal, Jeff Rock Amick Equipment, Ed Moore Amick Equipment, Carl Pezold New Way® Field Service Mgr, Robert Shore Amick Equipment, Dave Vandevere Southern Sewer, Justin Vanderespt Municipal Equipment, Cameron Low Amick Equipment, and Taylor Harbin Municipal Equipment. Thanks to all for attending!